Best Fiends developer Seriously reported a 65% increase in revenue in 2018, which was its second consecutive year in profit. The company's total revenue for the year was $69 million, up from $42 million in 2017. Seriously turned a profit in both years, though the exact amount was not disclosed. 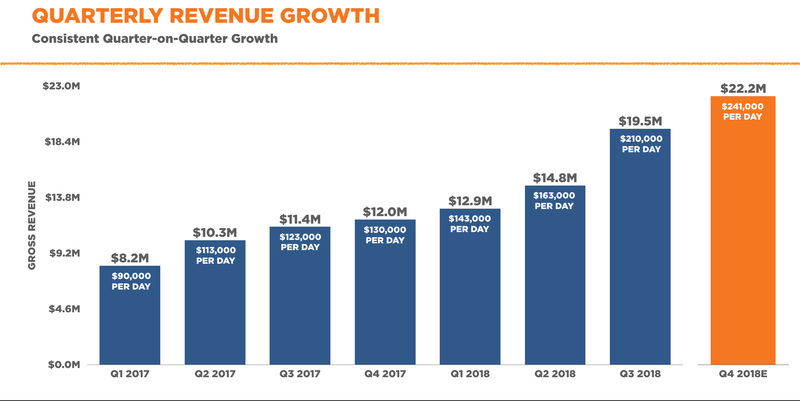 Q4 of 2018 was also Seriously's best quarter to date for revenue, bringing in $22 million -- around $240,000 a day, and almost double the amount it earned in Q4 2017. Seriously's main IP is Best Fiends, which started as a mobile game franchise and branched out into animated shorts and merchandise. According to CEO Andrew Stalbow, Best Fiends has earned $175 million in gross revenue to date, "and is currently operating at the highest run rate it's ever been." "Seriously has always strived to differentiate itself by developing intellectual properties at the same quality level as an Illumination, a Pixar or a Netflix," Stalbow said in a blog post. "In a world of unlimited entertainment choices, it's the brands that cut through." The company now employs 75 people across its offices in Los Angeles and Helsinki. Last year, we visited Seriously's Helsinki office to discuss its ambitious plans for Best Fiends. You can read the interview with CCO Petri Järvilehto here.